This entry was posted on February 5, 2015 by Paul. Dyslexia affects around 10% of the UK population. It’s one of the most common disabilities that employers have to contend with as part of their legal obligation to ensure that sufferers are not disadvantaged in the workplace. Crime Reduction Initiative, the country’s leading social care and health charity working with individuals, families and communities affected by drugs, alcohol, crime, homelessness, domestic abuse and antisocial behaviour, were aware of this and wanted a quick, easy but sure means of assessing members of staff who may have dyslexic tendencies. They linked up with WorkRite to carry out a trial of our innovative online Dyslexia Screener among 20 members of staff, some of whom were known to be dyslexic and others who weren’t. The screener, which can be completed in less than 15 minutes, generates an automated report that distinguishes between individuals with general difficulties and those whose difficulties are likely to be associated with dyslexia. The report also gives an overview of the employee’s strengths and difficulties, enabling the employer to decide what measures need to be put in place to assist the employee. The trial proved 100% successful, correctly identifying all those who had previously been diagnosed as having dyslexic tendencies while giving the others the all-clear. 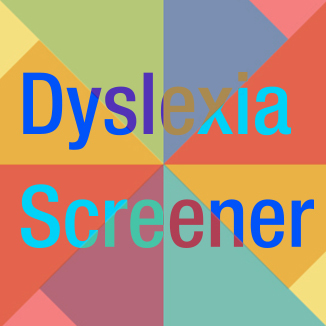 Victoria Mak, National Health & Safety Administrator at the CRI, said: “The Dyslexia Screener was quick, easy and convenient to use and the results proved that it is also extremely effective at identifying anyone displaying dyslexic tendencies. To find out more about the Dyslexia Screener or to arrange your own trial of this most cost-effective and efficient diagnostic tool, visit WorkRite or call us on 0345 345 0030.